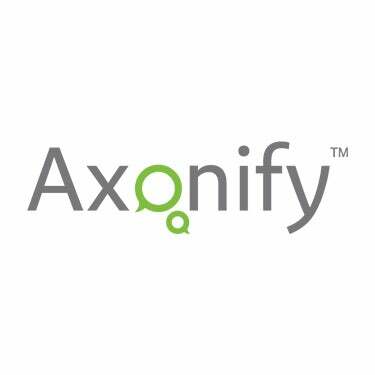 With 2012 Holiday shopping in full swing, we’ve had some interesting personal experiences with inconsistent service in retail at Axonify in the last week. The root cause? Employees are thrown onto the job with basic retail training that they just don’t remember. The result? Huge financial loss for the retailer. Taking ladies socks to another department to pay for them only to have the cashier say that he had no idea they were “buy 2 get one free” and our employee would have to take them back to the ladies department. With a huge lineup behind her and an armful of other merchandise it was suggested the cashier call the ladies department. He tried reluctantly. Busy. It was suggested he look at a flyer. He did. Then he proceeded to give our employee the highest priced pair for free while extolling how lucky she was that he did that. Result: Huge waste of time, irritated customer and lost money for the retailer when the employee made an impulse decision to offer a discount he shouldn’t have. Using a 25% off discount card in one department on top of merchandise that was already marked down 50%. Going to the next department and being told at that checkout the 25% card couldn’t be used if the merchandise was already marked down. Okay, which is it? Result: Frustrated customer and dollars lost (maybe?) for the retailer. The retailer was just lucky our employee didn’t take the merchandise back to the first cashier to pay for it. Shopping at one retailer two days in a row, having spent $100 on day one. Standing at the jewelry counter on the second day only to be told that the “friends and family” event was on and that if anything was purchased and picked up the following day, an additional 25% discount would apply. Except the event was running on day 1 too when the $100 got spent…… but no one said anything. Our employee re-purchased the day 1 merchandise a second time (on day 2) to get the extra 25% and then returned the day 1 merchandise on day 3 during pickup of day 2 haul. Confused? Yeah, so was I. Except I saved $25 and cost the retailer in terms of the effort involved to return and re-stock my day 1 goods. Oh, and I forgot to mention that one cashier thought using the store credit card allowed me a further 20% discount while the second one said it was 15%. The bottom line is that with constantly changing information, often daily, and no effective way to communicate those changes consistently to employees, mistakes get made. A lot. At the very least, an astounding amount of money is lost. At worst, a customer never comes back. If a small handful of Axonify employees experienced the above in just the last week, imagine what the extrapolated cost across a day in a busy store might be? It doesn’t take much to deliver effective training reinforcement, even when the content and messages change frequently. You just have to know how to do it right. That’s where we come in. There’s this little thing called ROI. We deliver it. Fast.